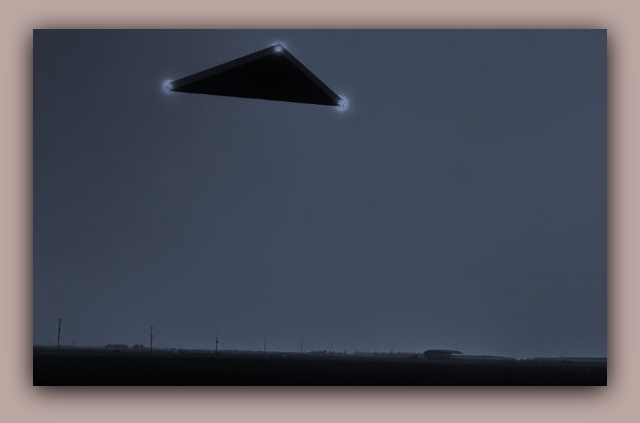 I witnessed a large black triangle shape Flying Object with very bright flashing alternate color lights (matched description the description of the person who reported a Flying Object over Baskng Ridge, NJ). I was out in my side yard walking the dog when I heard a very strong rumbling hum coming from across the street. I turned around and saw a very low flying aircraft coming over the tree tops of the field across the street. I stood there and watched it approach me and fly right over my head. I was looking directly up into its undercarraige. There were extremely bright colored flashing lights in varying colors of red, blue, white and maybe green. I could feel the vibration of the rumbling hum just like you would “feel” a low flying helicopter thumping overhead. It did not have a sound of propoltion; it was more of a hovering sound. Even the dog looked straight up in the air to see what he was hearing and feeling. He cowered a little, but didn’t bolt. It was movin very slowand I worried about it falling out of the sky onto our heads. Its size was large like an aircraft. There is 50′ of grass between the edge of our house and the woods next door. The aircraft going over my head spanned that entire distance and more. It was only maybe 50-100 feet above the tree tops and roof (two stories). It continued across the back of my yard and across the next two neihbor’s (no trees/a few acres) back yards; when it reached the next treeline it turned south. I never took my eyes off it. It took several minutes before it was out of my signt. I never felt threatened by it, just curious about how something could fly so low and slow without falling. I immediately asked my husband if he had heard it, but he had earbuds in his ears for his Ipad. The next morning I called my neighbor to see if they had seen it (it went right across their yard). 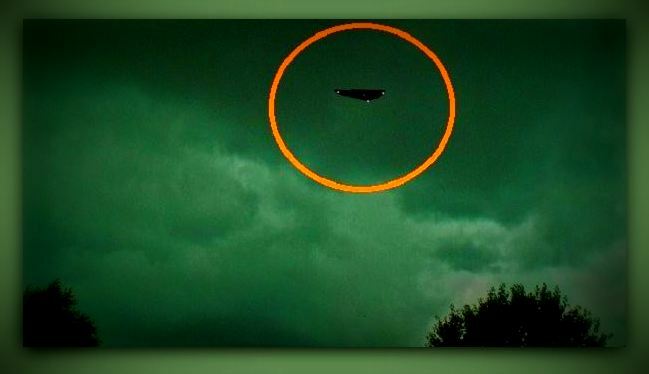 She said she didn’t see it but she and her sons had heard it just after 9:00 and they commented that it was flying very low. She added that her two sons had seen it the month before while outside in their hottub (the same time of night and also a cloudless night). They came in and told her about it and that it was not like any normal aircraft (there father is pilot and they watch and identify planes all the time). I had heard it the month before as well, but by the time I got to the back of the house to look it was already over the neighbors yards but was low and had the flashing colored lights. Frequently military aircraft pass over here. I did report it to the state and their response was that it was probably a military aircraft. NOTE: The above image is a rendering. Three Lighted Triangles Glide Quietly over Murrells Inlet Toward Myrtle Beach, SC. On Tuesday evening, Jan. 20th, 2015 at 9 PM I walked out front to run an errand and noticed movement coming from the southwest sky; there were 3 sets of lights approaching very slowly. At first I thought they might be military planes in close formation but as they got closer I realized there was absolutely no sound and they were traveling – more like gliding – much slower than conventional aircraft. The weather was perfectly clear and the night seemed remarkably quiet. After about 1 minute, the formation passed directly over my driveway at an estimated altitude of 250 feet and each craft appeared to be the same size or a little larger than the wingspan of small private planes at that height. 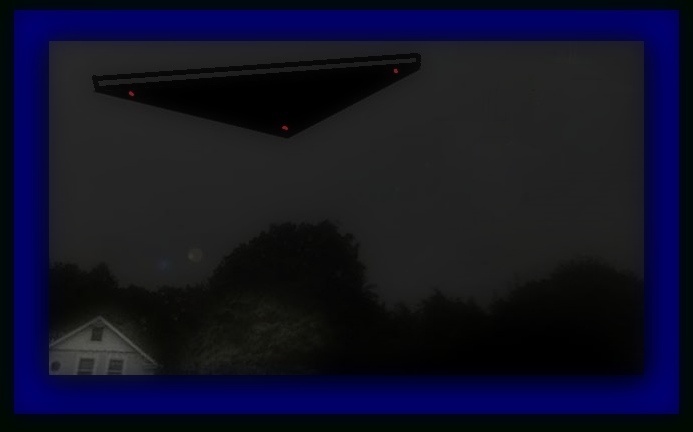 I observed 3 dark triangle-shaped objects with red nose lights and smaller green & white lights on the side points. The shape of the objects was like a flattened triangle or boomerang as the distance between the green/white lights was very wide and approx. twice the span from the front to side. The red lights seemed unusually large and remained constant; the green & white lights blinked alternately. I could not make out any detail on the bottom of the craft. I ran into the house and grabbed my primitive camera phone but could not capture anything but dark night sky. I watched the formation move off to the northeast, then jumped in my car and followed it for another 4-5 minutes until it eventually went out of view over Myrtle Beach. It seemed to be following along the Highway 17 Bypass and maintained the same steady speed for the entire sighting which lasted 7-8 minutes. NOTE: The above image is a rendering.